For some reasons you may wanted to turn off Windows Defender in Windows 10. Windows Defender is a Windows inbuilt security application for the replacement of other Antivirus and Internet Security Programs. If you are not satisfied with Windows Defender you can have the option to install other commercial Antivirus or Internet Security programs like Kaspersky or Bitdefender etc.. If you install the other Security application Windows Defender itself designed to automatically turn off itself and not to disturb the operation of installed Antivirus or Internet security application. If Windows defender doesn’t turnoff itself then we should turn off it manually. First open Windows Defender and check its status. You can open it by using Cortana by typing defender in Cortana’s search box. There are number of ways to turn off Windows Defender, here I provided the way using Local Group Policy. 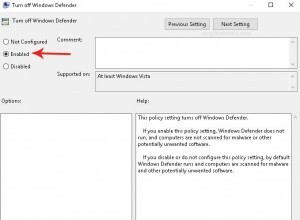 Turn off Windows Defender using Local Group Policy. 1. Press Windows + R to open the Run dialog box. 3. 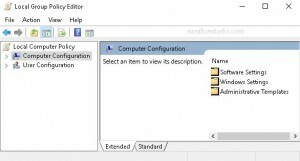 In the “Local Group Policy Editor”, Click Computer configuration in the left pane. 4. 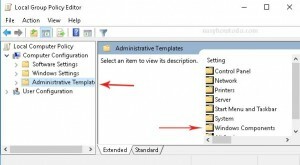 Open Administrative Templates by expanding the left pane list or double click on the right pane. 5. Open Windows components by expanding the left pane list or double click on the right pane. 6. 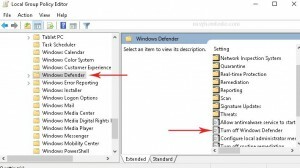 Open Windows Defender by expanding the left pane list or double click on the right pane. 7. Now in the Right pane find and double click Turn off Windows Defender list item. 8. It will open that option page. 9. Click Enabled radio button among three options. 10. Now close the windows. 11. Windows Defender now disabled. You can check it out. It may say Windows Defender is turned off by group policy.